Mitch Kokai, a senior political analyst at the John Locke Foundation, one of North Carolina’s preeminent conservative research organizations and public policy think tanks talks about four new amendments to North Carolina’s constitution. JOHN RUSTIN: Thank you for joining us today for Family Policy Matters, the North Carolina Family Policy Council’s weekly radio show and podcast, which is designed to better inform listeners about the critical issues of the day and to encourage them to be voices of persuasion for family values in their communities. We are a little more than a month removed now from the 2018 General Election, and although North Carolina did not have a United States Senate or Gubernatorial race on the ballot, voters did have the opportunity to decide the outcome of six proposed amendments to our state Constitution. The results were mixed bag, with four of the amendments receiving voter approval, and two of the amendments failing passage. Today’s guest is going to help us sort through these Constitutional Amendments and what they mean for North Carolina. 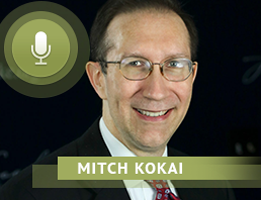 Our guest today is Mitch Kokai, a senior political analyst at the John Locke Foundation, one of North Carolina’s preeminent conservative research organizations and public policy think tanks. Mitch followed the activities surrounding these proposed Constitutional Amendments very closely and we look forward to talking with him today about what happened. Mitch, welcome to Family Policy Matters, it’s great to have you back on the show. MITCH KOKAI: Thank you John, I appreciate the invitation. It’s always good to chat with you. JOHN RUSTIN: It’s our pleasure and we really appreciate the partnership that we enjoy between the John Locke Foundation and NC Family, and just are so grateful for all that you do. Now Mitch, considering the process for amending the State Constitution in North Carolina, and also understanding that we are not an initiative and referendum state where voters can petition to place questions on the ballot, how unusual was it for voters to be confronted with six Constitutional Amendments when they went to vote this year? MITCH KOKAI: Six really is a large number for Constitutional Amendments on the ballot, John. Since North Carolina adopted its current version of the overall Constitution in the early 1970s, we have seen it­–before this previous election–be amended 30-some times. So basically, not quite every year, but almost every year– maybe two out of three years–we would see an amendment. Sometimes a couple of them bunched together, and then we would go for two or three years with no amendments on the ballot. So, it is not incredibly rare for North Carolina to have an amendment on the ballot, but it certainly is unusual to have as many as six contemplated at one time. And of course, so, one of the more interesting pieces of that puzzle this time around was that by law none of the amendments could be differentiated from each other by a number or a letter. So you didn’t look at the ballot or hear any of the conversation about the amendment process and hear people say, “vote for Amendment 1” or “vote against Amendment 2,” or “vote for A, but not for B.” They were all identified on the ballot as “Constitutional Amendment,” and so it made it a little bit more difficult for people who wanted to differentiate among them. JOHN RUSTIN: Interesting. Well, as we will discuss, there was some differentiation between these questions again, as four passed and two did not, but we’ll get into that a little bit. Before we do though, Mitch, what is the process for amending North Carolina’s Constitution? MITCH KOKAI: You alluded to this a little bit earlier. Unlike other states, we don’t have this citizen initiative process where anyone could try to get enough signatures so they could get some sort of item on the ballot. We see in states like California, they have quite a few ballot initiatives that can get onto the ballot because people will launch a petition drive, get enough petition signatures to get an item on the ballot. In North Carolina, it really comes down to the General Assembly. Both the State House and Senate have to vote to put a Constitutional Amendment on the ballot. And it’s not a simple vote, they have to get what sometimes is referred to as the super majority: three-fifths of the members in both chambers have to vote for the measure to get on the ballot. And then once it gets on the ballot, then it takes a simple majority of the voters to pass that amendment and to put it into the Constitution. JOHN RUSTIN: One of the most publicized amendments, which ultimately passed with over 55 percent of the vote, has to do with voter identification. Mitch, as we are speaking even today, lawmakers are actually back in Raleigh to iron out the details of the implementation of this voter ID Amendment. What do you believe we can expect as far as a timeline for implementation? And what kinds of ID do you believe will be authorized as valid for voting in North Carolina under this new Amendment language? MITCH KOKAI: Well, as you said, as we’re speaking, this has not yet been finalized, but I suspect that the General Assembly is going to end up passing a Voter ID Bill, and even if Governor Roy Cooper decides to veto–and we don’t know if he would veto it. I’m guessing he probably won’t sign it, because he’s been an opponent of Voter ID. But he might–depending on the final version of the bill–might allow it to go in without his signature. But whether he vetoes it or not, the General Assembly could, if all of the Republicans who have supported this measure stick with each other, and if some of the Democrats who have lined up behind the particular pieces of legislation, join them, there would be the potential to override a veto. The plan is to have Voter ID in place for municipal elections in 2019. JOHN RUSTIN: Student IDs, right. MITCH KOKAI: Yes, student IDs at community colleges. Maybe even the private college IDs if they will come up to a standard set by the State Board of Elections. And there may be some other things that will be added in as well, as long as sort of a standardized, government issued, or if not government issued, at least acceptable to public officials as something that someone just didn’t make it in their own home, you know. You didn’t make up your own business ID and show that as your ID. I think that’s going to be part of the standard. And then there will also be some exceptions made for people who just can’t get to an ID. And that’ll be probably where the devil’s in the details. JOHN RUSTIN: How do you believe the amendment that caps the corporate and individual income tax rate in North Carolina at 7.0 percent, will affect the current and future tax climate in North Carolina? MITCH KOKAI: I think it could have a major positive impact. The first thing that we ought to note is for people who haven’t been following this very closely, the amendment itself doesn’t have any impact on current tax rates. MITCH KOKAI: Right, because our current tax rates are well below even the new cap. Our current personal income tax rate is just under 5.5 percent, and in 2019 it goes down to 5.25 percent. So even with a new cap of 7 percent, it would be possible–not a great idea–but it would be possible for a future General Assembly to raise the personal income tax rate by 33 percent and still not go above the new cap of 7 percent. The reason why I believe that this will be a positive for our economy going forward is that companies looking at going to North Carolina, or entrepreneurs thinking about where they might want to start a new business, can look at our rules, they can look at our policies. They could see that, you know, it’s not going to be possible without a new Constitutional Amendment, and votes from the people again, to ever see an income tax rate higher than 7 percent. That’s going to be better for them. They’re looking and saying, “Well, you know, some future General Assembly might raise our tax rates to 10 percent.” So I think in the long-term it’s going to be good for businesses that are looking at where states have a positive tax climate. They’re going to see North Carolina’s rates are competitive right now and that there’s not a possibility that they’re going to get sky-high, California-like levels in the future. JOHN RUSTIN: Talk a little bit about the amendment dealing with victims’ rights and Marcy’s law. What you saw happen with this, especially with outside interests that were promoting the passage of this Constitutional Amendment in North Carolina. MITCH KOKAI: I think this one would have been pretty popular anyway, because most people say crime victims should have a role in the process, and in fact North Carolina had already enshrined a lot of crime victims’ rights in our Constitution. If you compare what we already had, to what Marcy’s Law provides in the new Constitutional Amendment, there isn’t a major difference. There’s a little bit of extra consideration that crime victims will get, and it spells out a little bit more clearly that they can play a role at different stages of the legal process. But we already had some pretty strong crime victims’ rights. I think one of the reasons that we saw such an interest in this during the campaign was because it is part of a national campaign. There are some states that did not really have much crime victim protection within their constitution, and so in other states that have addressed a Marcy’s law, I think it will end up being a much larger impact on their legal system. Here in North Carolina, I think it was probably a good thing to do and to sort of clarify some things that were already in the Constitution, but because we already had crime victims’ rights in our Constitution, it really is more of a tweaking of what we had than a wholesale major change. JOHN RUSTIN: You’ve talked a little bit about establishing a right to hunt and fish in the Constitution, which I think is pretty straightforward. Because we’re limited in time, I’ve wanted to give you an opportunity to just make any comments about the two Constitutional Amendments that did not pass. 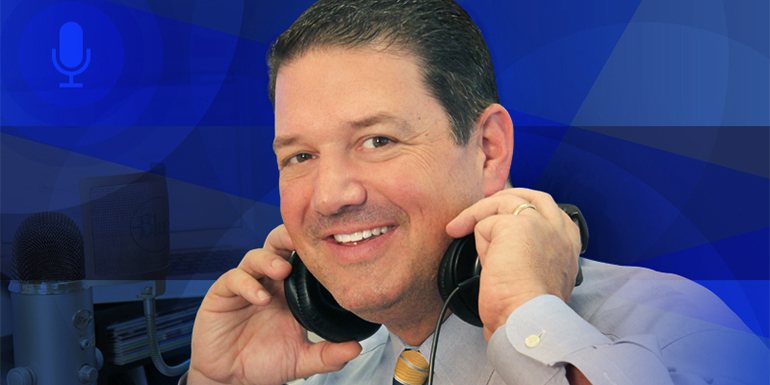 JOHN RUSTIN: Mitch, we’re unfortunately just about out of time for this week, but before we go, I want to give you the opportunity to let our listeners know where they can go to get more information about your great work, and also the John Locke Foundation. MITCH KOKAI: Thanks so much, John. I think there are two websites I would point people toward. One is our daily news operation, and that’s carolinajournal.com. People can get a free monthly print newspaper called Carolina Journal. They can contact the John Locke Foundation for that. But daily, online, you could also see news and commentary and video and audio at carolinajournal.com. And then there’s the organizational website, johnlocke.org, that features more of our research and some of the things that really think-tanky-type people in our organization are involved in. So carolinajournal.com and johnlocke.org. JOHN RUSTIN: Great. Well Mitch Kokai, I want to thank you so much for taking time out of your schedule to be with us on Family Policy Matters and for your great work, and for just helping us understand better the decisions that were made by North Carolina voters with respect to these Constitutional Amendments.